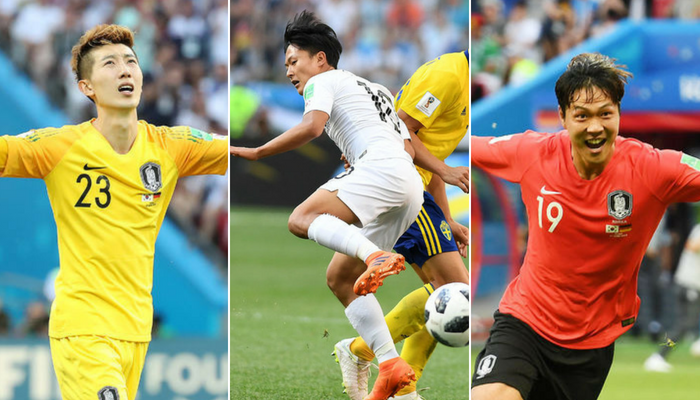 According to MBC broadcast officials, Cho Hyun-woo, Lee Seung-woo, and Kim Young-gwon, who showed off their outstanding skills in this World Cup, are planning to participate in this week’s “Radio Star” recording. Due to his performance at this year’s World Cup in Russia, Cho became one of the standout players throughout national team’s run in the competition. However, before the matches against some of the world’s best teams, doubts lingered about goalie’s ability. As such, it was highly unlikely he would enter the games as a starter. However, Cho, who started his first game against Sweden in the Group F group, had an excellent performance in the first game. He had the third-best performance among 40 goalkeepers from 32 countries in the group league after the game against Mexico. As a result, Cho gained attention from both the domestic and foreign media. This attention continues even after South Korea’s exit from the world cup. In addition to press interviews, Cho has also gotten numerous inquiries to appear on different TV shows, and (brand) modeling offers. Although the players haven’t participated in entertainment programs before, expectations are high.